Mumbai: Way back in 1985, Asian Paints started supporting Durga Puja in Kolkata as it gave them an opportunity to connect with the audience of Kolkata at an emotional level. It was done under the banner of ‘Asian Paints Sharad Shamman’, which over years has grown in terms of its stature and scale. Over the years, while felicitating 3 best pujas of the year, they now also felicitate one pandal each for Discovery of the Year (Bauchorer Bismoy), Innovative Excellence (NoboNakshi), and Best Idol Maker (Best Pratima Shilpi). Today, it is the most coveted award that Durga Puja clubs and committees vie for in Kolkata that brings in glory for their neighbourhood and a sense of pride by this felicitation. While over years, Asian Paints Sharad Shamman has been connecting with the people in Kolkata through the on-ground activity and media support, the challenge now is different. How do we connect with the Bengali youth, who are spread far and wide, make the importance of Durga Puja relevant to them. Hence, a way had to be found to talk to them that would provide the necessary information, without being preachy. Ogilvy conceptualised a campaign for this: #DurgaPujoRocks. A digital campaign that comes alive through the fusion of various art forms to create unique pieces of content, visually and aurally, telling stories of the mythology of Durga Puja in a way that is both engaging and informative to the youth. 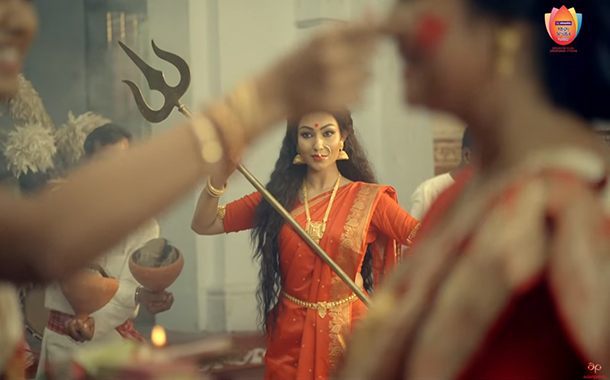 This campaign brought in one of the most popular Bengali music bands, Lakkhichhara, to create a song that would capture the entire mythology and celebration of Durga Puja in their own unique style. To enrich this content piece further, many more art forms like Baul singing, Pattachitra, etc. were brought together to create an output that is both very captivating to listen to and watch. Thus, truly making Durga Puja rocking for the youth. This main music video launch has been supported by a set of pre-launch and post-launch videos that have kept the conversation rolling daily, and simultaneously, heightened the audience’s interest level high. George Kovoor, Group Creative Head, Ogilvy Mumbai: #DurgaPujoRocks is a unique form of storytelling, combining traditional performing arts with modern rock music to create a piece of content that engages a generation of youth who are getting detached from the traditions and rituals of DurgaPujo. They are going to see Pujo in a way they have never seen before.